When NBC announced the broadcast team for its upcoming Super Bowl coverage, it was tough not to notice which name was missing. 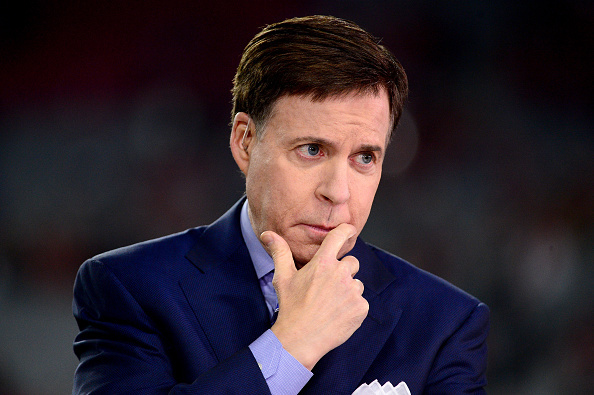 Bob Costas, maybe the most pedigreed employee at NBC Sports, will not be part of the network’s studio team at America’s marquee sporting event. Instead, Dan Patrick and Liam McHugh will co-host the pregame show alongside analysts Tony Dungy, Rodney Harrison, Mike Florio and Chris Simms. Costas previously hosted NBC’s Super Bowl coverage in 2009, 2012 and 2015 and seemed likely to assume that role again given that Mike Tirico will skip the game to prepare for the Winter Olympics, where he will take over Costas’ former role as primetime host. The announcement that Costas, 65, will not work the Super Bowl sparked speculation as to whether his comments late last year that “football destroys people’s brains” led NBC to sideline him. NBC says it is NOT using Bob Costas and instead using Liam McHugh as its other host on Super Bowl (besides deserving Dan Patrick) because McHugh worked NFL this season & Costas didn't. Hard for me to believe this is not related to Costas saying football "destroys peoples' brains"
The stated reason for choosing Patrick and McHugh over Costas was a bit less juicy. In a statement, Costas said the network sought to reward personalities who have worked on their NFL coverage all season long. Though that justification sounds nice, there still might be something else going on here. When major events roll around, networks often choose big-name veterans over lower-profile employees who have been there all year. Bumping McHugh for Costas would hardly have been outrageous given the latter’s resume and seniority. So what actually happened? Maybe NBC worried about upsetting the NFL by putting a football-critic in that role. Maybe Costas, given his thoughts on the sport, simply wasn’t that interested in the gig. Or maybe the network is simply phasing out the man who has been the face of their sports coverage for decades. Regardless, NBC will air two of the world’s biggest sporting events next month, the Super Bowl and the Olympics, and Costas won’t be a part of either.